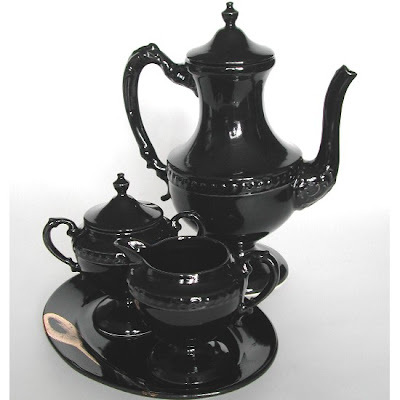 I love this tea set. You pull this out and you are really having tea. None of this old-freebie-mug-with-a-string-hanging-over-the-side business. You can find it here at Green With Glamour.